Co-authored with Michael A. Newton, who teaches law at Vanderbilt University Law School and is a former Adviser to the US Ambassador at Large for War Crimes. This article originally appeared on Project Syndicate. With General Radko Mladić now in the dock in The Hague to face charges stemming from the atrocities committed by troops under his command during the Bosnian War, the contrast with events in Southern Sudan could not be more appalling. Sudan’s government, led by President Omar Hassan Ahmad al-Bashir, has taken a page from its Darfur playbook by waging war once again on civilians and their property, this time attacking the disputed border region of Abyei on the eve of South Sudan’s legal secession next month. This is the same Bashir who is currently charged with genocide by the International Criminal Court. And it is the same set of Sudanese officials who received plaudits from diplomats for the agreement that purported to end Sudan’s two-decade North-South civil war, and for publicly committing to abide by the ruling of the Permanent Court of Arbitration on the territorial dispute in Abyei. In Abyei, Bashir’s regime planned and conducted a pogrom that can be characterized only as a premeditated act of ethnic cleansing intended to rid the city of ethnic Ngok Dinka and replace them with members of the northern-aligned Misseriya ethnic group. Eyewitnesses report that whole villages were razed, civilians shelled indiscriminately, and children left dead by the roadside (with some reportedly eaten by lions when fleeing). One man called his brother in Abyei and heard a man answer the phone and tell him, “We killed your brother.” Between 60,000 and 150,000 refugees fled for their lives, leaving behind their meager possessions. They are the lucky ones. Bashir’s forces destroyed the only bridge linking Abyei to areas of safety, in effect trapping the remaining population and impeding the safe return of those who had fled. Unlike in previous cases of attacks on civilians by Bashir’s regime, this time we don’t need to wait for fragmentary reports from the ground to piece together what happened. We have satellite imagery that shows what happened almost in real time. 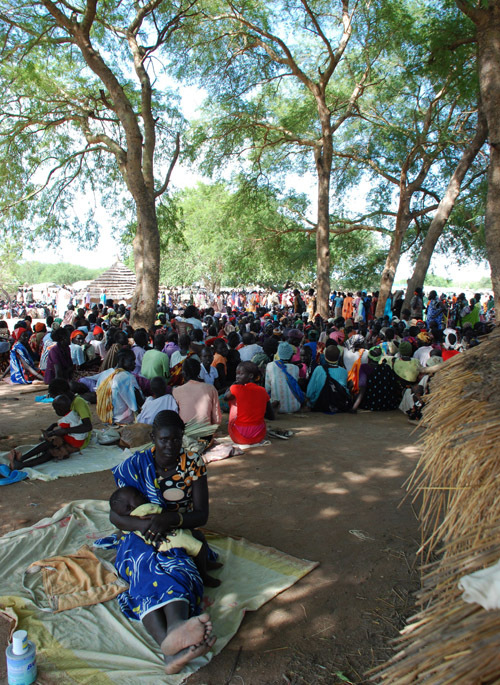 The Satellite Sentinel Project (SSP), initiated by George Clooney and the Enough Project, has provided irrefutable and nearly immediate evidence of this new wave of crimes committed against the civilian population in and around Abyei.